The 24-inch diameter AMERICAN Steel Pipe was delivered to the job site via the BNSF railroad. 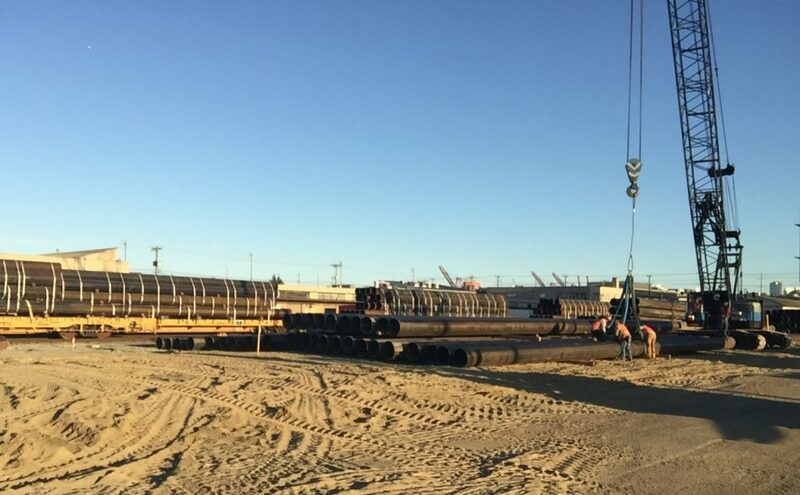 All 35,000 feet of pipe piles were offloaded and stacked in a small area. In August 2017, AMERICAN worked with Pipe & Piling Supplies (USA), a distributor with offices in Auburn, Washington, to supply 24-inch diameter pipe with a wall thickness of .625 inches to be used as steel foundation piling for Amtrak’s King Street Locomotive Yard Service Facility. Expected to be complete in 2019, the $28-million facility will house a 31,000-square-foot locomotive shop in the heart of downtown Seattle next to Safeco Field and the Starbucks headquarters. It will service trains coming in and out of the King Street Station, which was rebuilt in 2013 to better serve the more than 2.7 million passengers boarding trains at this station every year. AMERICAN Steel Pipe piles after being driven 180 feet into the ground at Amtrak’s locomotive shop in Seattle, Washington. The location of the job site was challenging yet convenient. Pipe was delivered directly to the project site via the BNSF railroad. 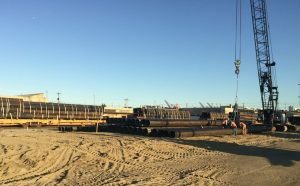 All 35,000 feet of pipe piles were offloaded and stacked in a small area, which eventually became the project site. The site, located in an active rail switching yard, created a tight work area. 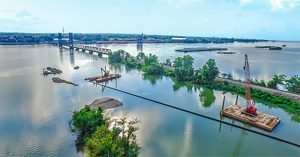 Once the job site was ready, the piles with 2.5-inch plates attached were driven approximately 180 feet into the ground using a diesel impact hammer. 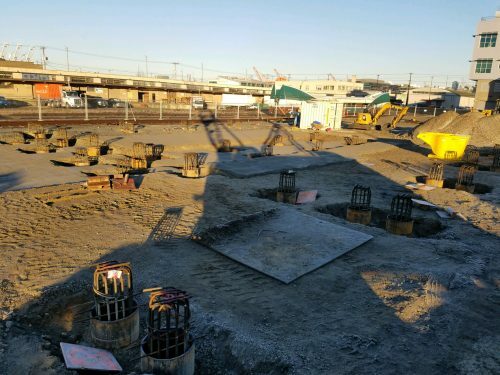 The depth of the piles was necessary to find solid soil in Seattle’s soft ground conditions. The pipe driving process took three months to finish, completing the facility’s foundation. Pipe & Piling Supplies (USA) became an authorized distributor for AMERICAN Steel Pipe in 2016. AMERICAN supported Pipe & Piling Supplies (USA) throughout the project through its Customer Service, Sales and Transportation groups. 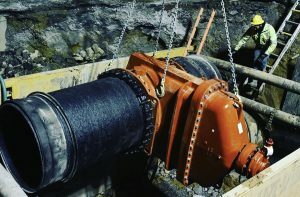 The groups communicated and worked together to ensure the pipe was delivered on time and all of Pipe and Piling Supplies (USA) needs were met. Piling is available as ERW in sizes 12 ¾ to 24 inches. In addition to piling, AMERICAN Steel Pipe produces ERW line pipe for the oil and natural gas industries.